Camtasia Studio–Train. Present. Persuade. This is the power of screen recording. Delight audiences near or far with training, presentations, demos, and screencasts that get results and look fantastic. 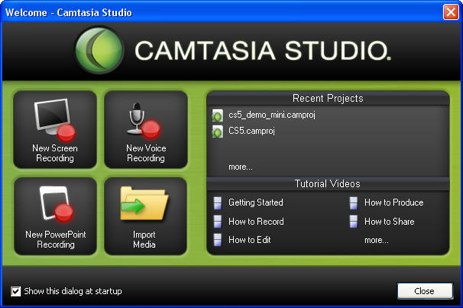 Camtasia Studio software is smart, powerful, and does the hard work for you. Easily record your screen, PowerPoint, Webcam video, and audio. Record in front of a live audience or from your desk.